The goose pen was getting unpleasant. The original plan was to have them free range. This all changed when the geese decided that a neighbor’s “special” plants tasted the best. It was kind of funny but the geese had to be confined. Now, their area was getting foul (fowl?). Sorry. So the family moved the geese. After I headed back to California. Heh, heh. I suggested that they wait until feeding time and lead the geese to the new area with food in hand. That didn’t work. I didn’t get a lot of details. I’m glad I wasn’t there. I guess it was very noisy and frustrating. Kudos to those that did the work. 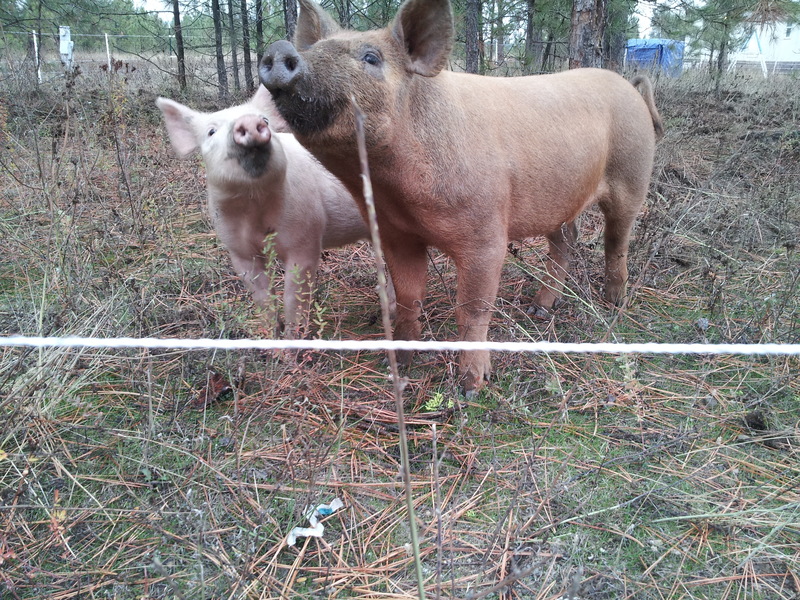 They’re close to the pigs right now. The pigs will only be there a couple months. The geese will be there until we get a (working) freezer. I wanted the geese as burglar/predator alarms. They’ve failed in that role. They don’t eat bugs. Really, the only purposes they seem to serve are as lawn mowers and fertilizers. The chickens do a better job at both jobs. *shrug* I hope they taste good. The wife bought a dryer a couple days ago. She swapped the pig tails (black, white , red is the wire order, with the green going somewhere else) and got it hooked up. Awesome, eh? 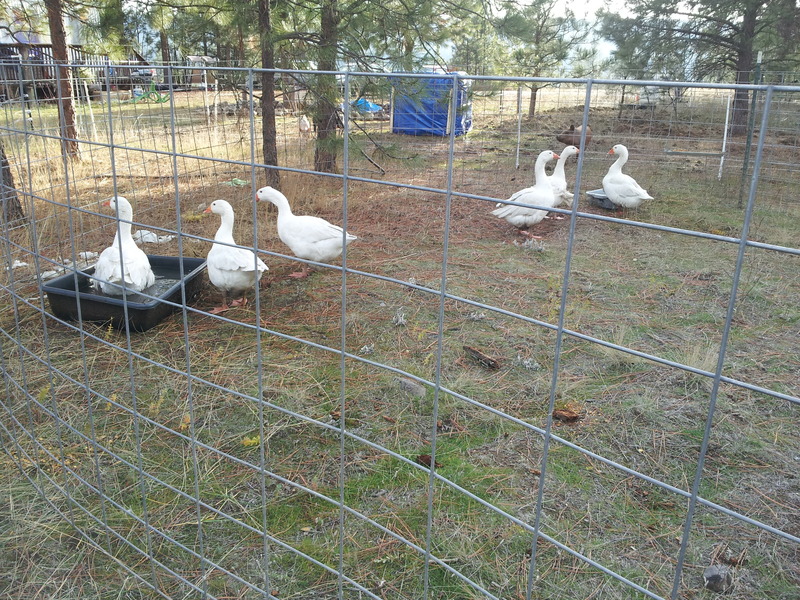 This entry was posted in Livestock, Poultry and Creatures Tame and Wild and tagged geese by admin. Bookmark the permalink. One of my favorite pictures of the girls.